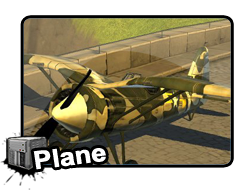 [Mod] A new plane for bfh..
Get ready to take off and fly in to the clouds whit a new plane that was made by SgtColbert.I suggest that you use this mod only if you know how to use it (you understand bfh modding). Hello heroes we are looking for two editors (editorials) to add to our team.Please post in the comments and tell me if you would like to be a part of it. Your job would be to post interesting news on the website. Also we are looking for two mods to add to our team.Post in the comments if you would like to be one. Bfh Mods first contest is here! A new contest is here. Yes ofcourse, the prize will be two Dr.Pepper codes, if you want you can donate more. The Dr.Pepper codes were donated by Collin. -The forum is now much larger.The space issue has been resolved. -File manager was renamed to "Mods". -Off topic forum has been added. -Publisher was renamed to "articles". So now the forum has been updated and made much larger resolving the space problem, it might not look as nice now but i hope you will be happy whit it. Discuss this in the comments. What to suggest something that should be added improved, go to Bfhmods.ucoz.com Discussion. Battlefield heroes mods first contest. To keep the website fresh and to put your pretty art in, a new contest will make it's way here.The contest will lest for about the next month.You will be able to find out more tomorrow after the update.So get ready to make some pretty art. Prepare for a football crazy summer.. Finally some new content is almost here, new emotes and golden weapons, clothing is almost here, and it's awesome, if you have money to spend that is....so prepare for an interesting summer in battlefield heroes. And it is nice to see that they finally got a voice actor and some nice looking animations in their promotion videos. Yeah that about sums it all up..
We will be updating this website tomorrow at yet unknown time.The update will be going for an hour in that hour the website will be inaccessible. -Blog and guestbook will be removed due the lack of user views. -File catalog and Publisher will be renamed. -And few other smaller things. This week is getting a bit boring because of the lack of any mod related news and i didn't want to do another modding round up just yet, so to fill up my time i decided to make a BFHMods You tube channel, and a new Bfhmods Media logo to celebrate it. And yes that the logo might be a little bit weird, but no i am not going to remake it...it already took be about an hour. This mod was made by MagnumForce51, showing us how much more awesome night maps could have looked if only the developers wouldn't be so lazy. Something pretty strange was reported by one of our members today, a picture were lowlands all was covered in snow and two soldiers were standing frozen. So what do you think happened?Post your version.